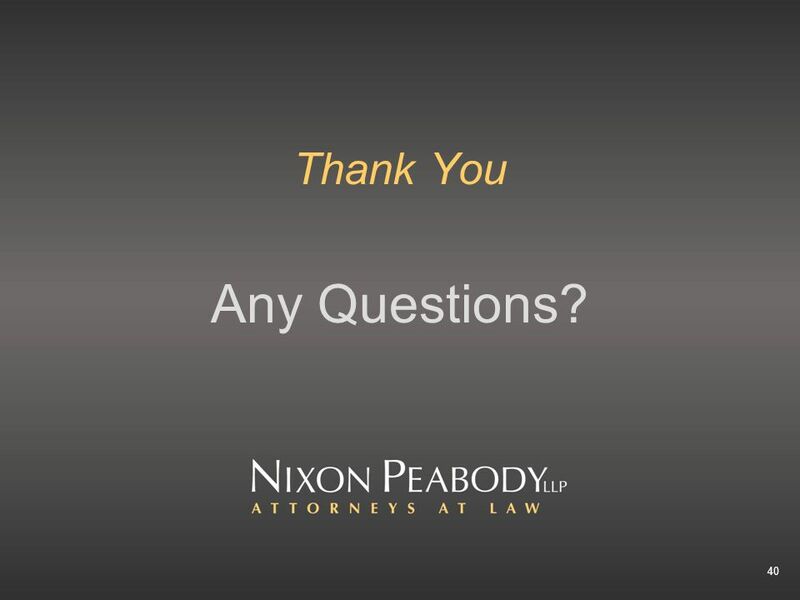 40 Thank You Any Questions? 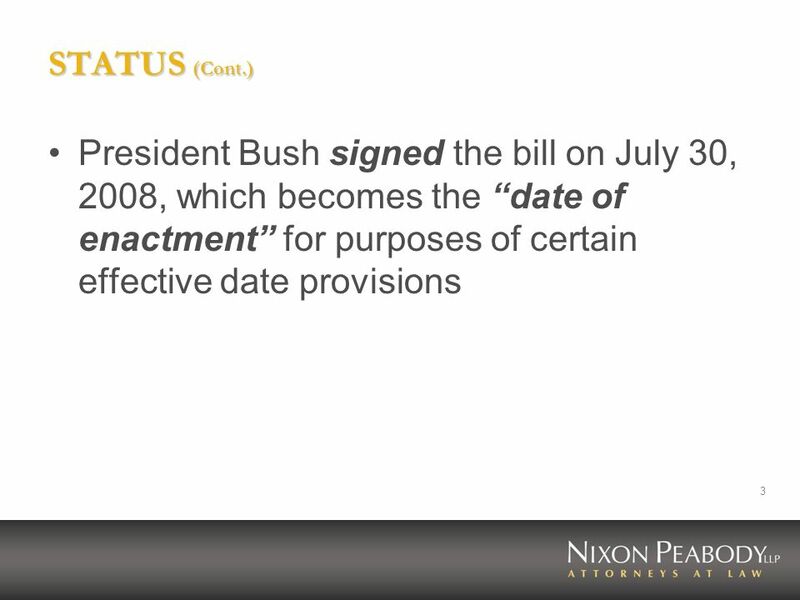 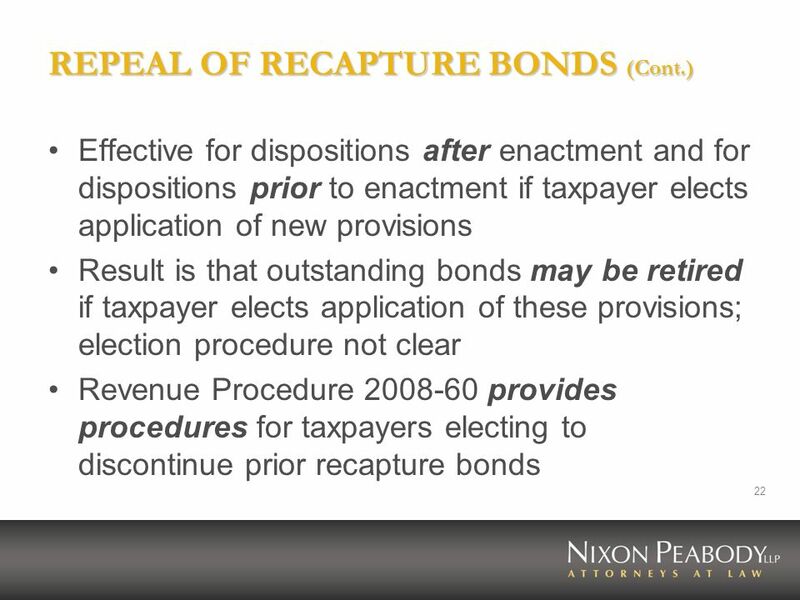 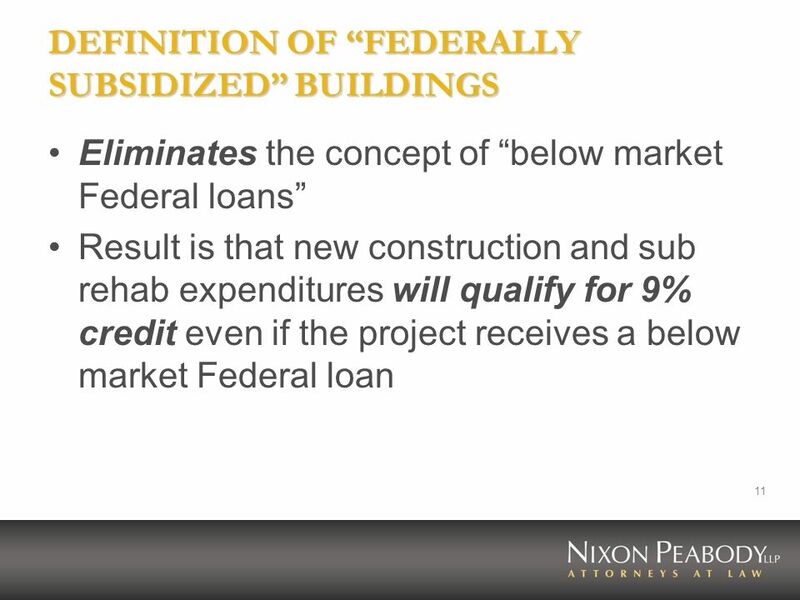 Download ppt "Richard S. Goldstein Forrest D. Milder November 20, 2008"
© 2007 The McGraw-Hill Companies, Inc. McGraw-Hill/Irwin The Statement of Cash Flows Revisited 21. 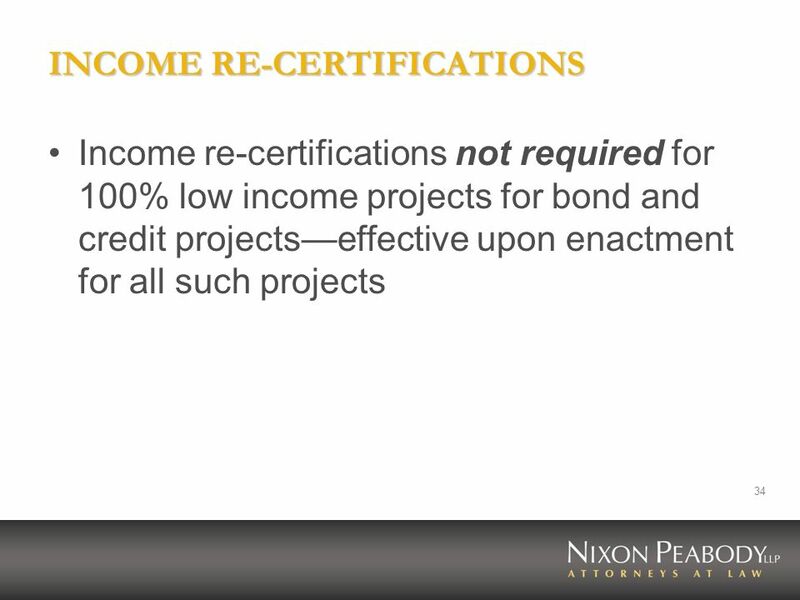 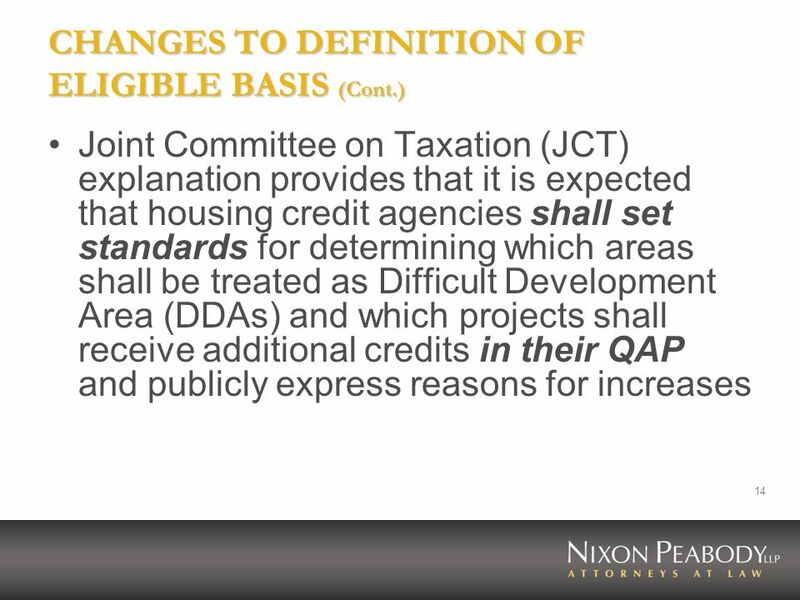 Special Issues for Projects Involving Nonprofits IPED Housing Tax Credits 101 February 22-23, 2007 Molly R. Bryson Thomas A. Giblin. 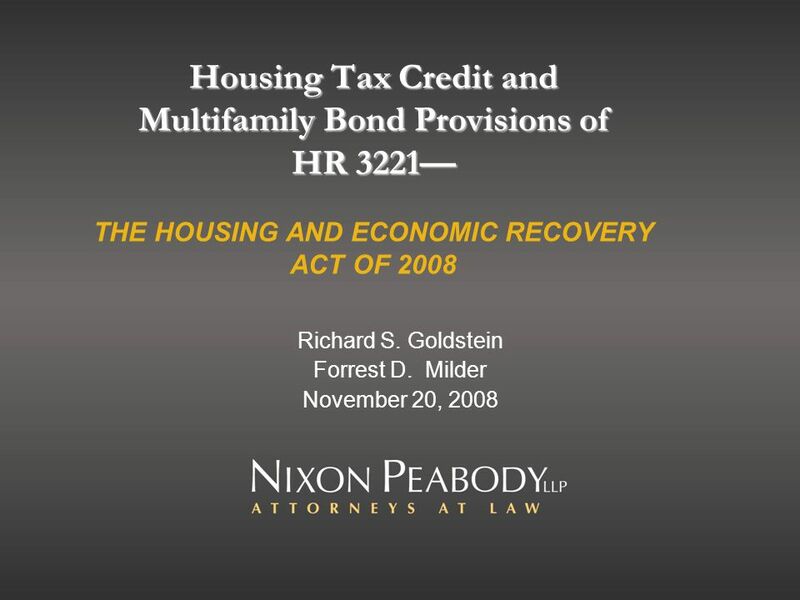 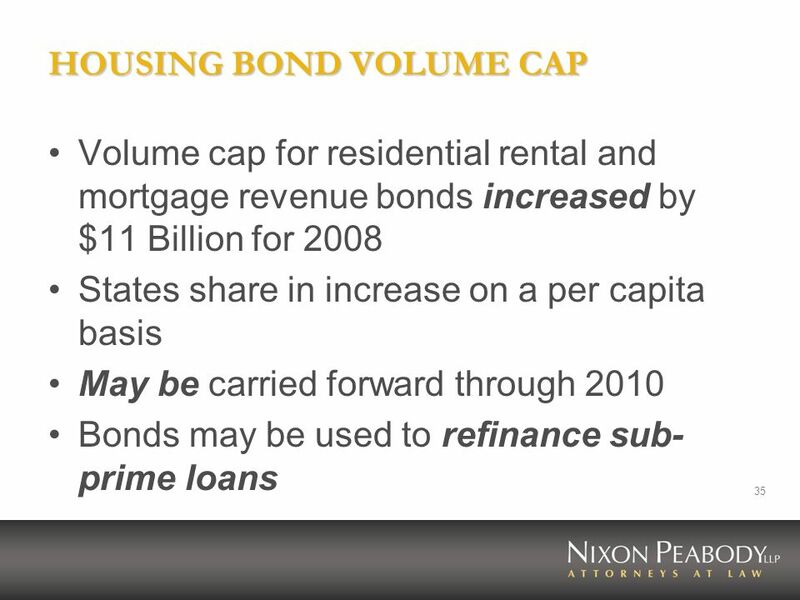 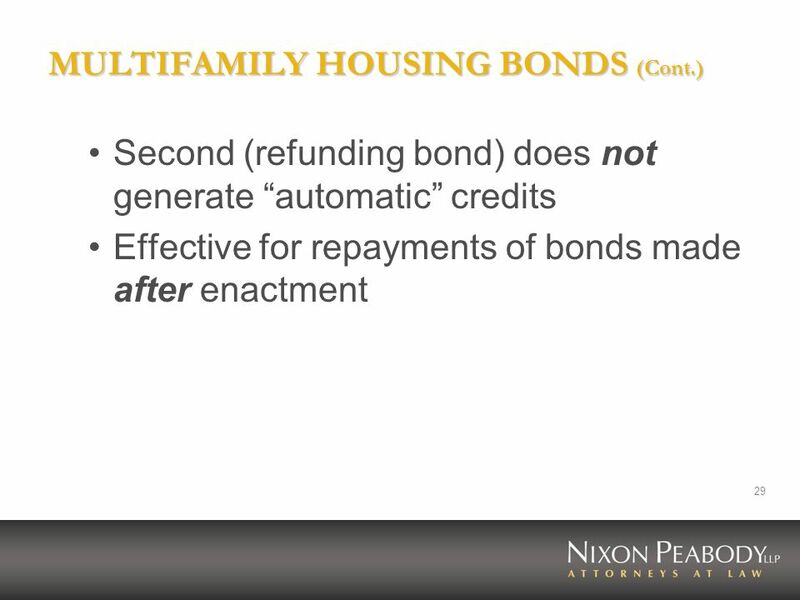 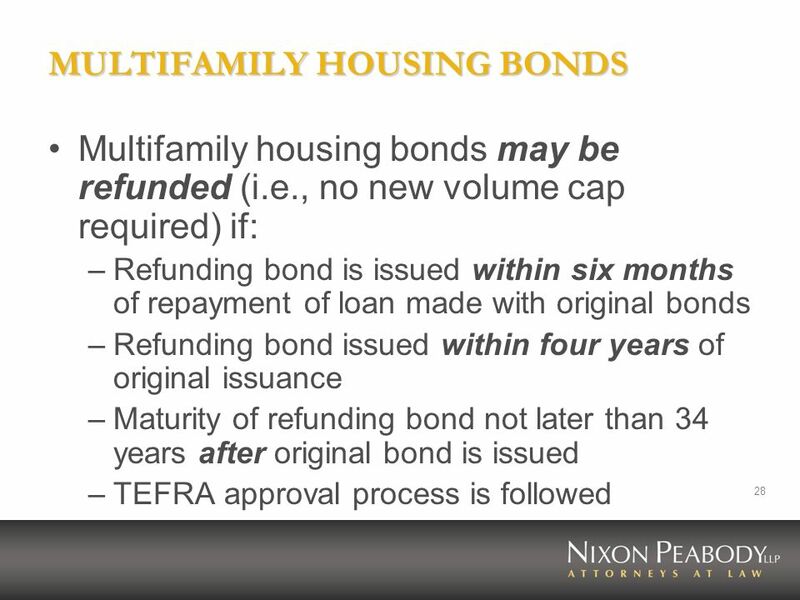 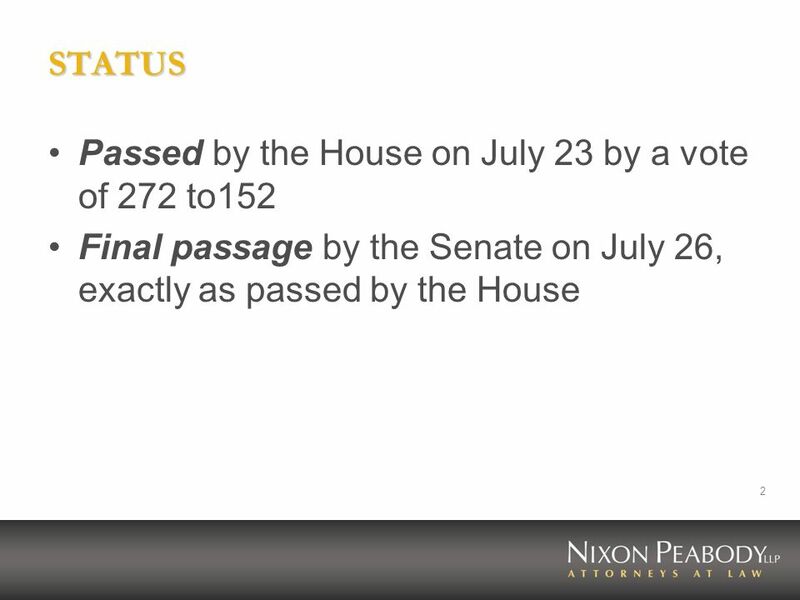 HOUSING TAX CREDIT AND MULTIFAMILY BOND PROVISIONS OF HR 3221 (AS OF JULY 21, 2008) Richard S. Goldstein July 24, 2008. 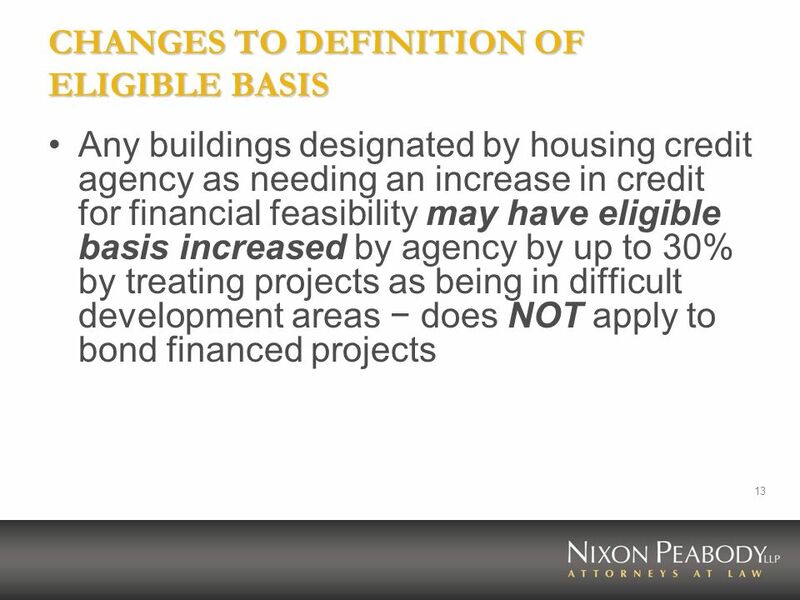 Special Issues for Projects Involving Nonprofits IPED Housing Tax Credits 101 October 18-19, 2007 Molly R. Bryson Thomas A. Giblin. 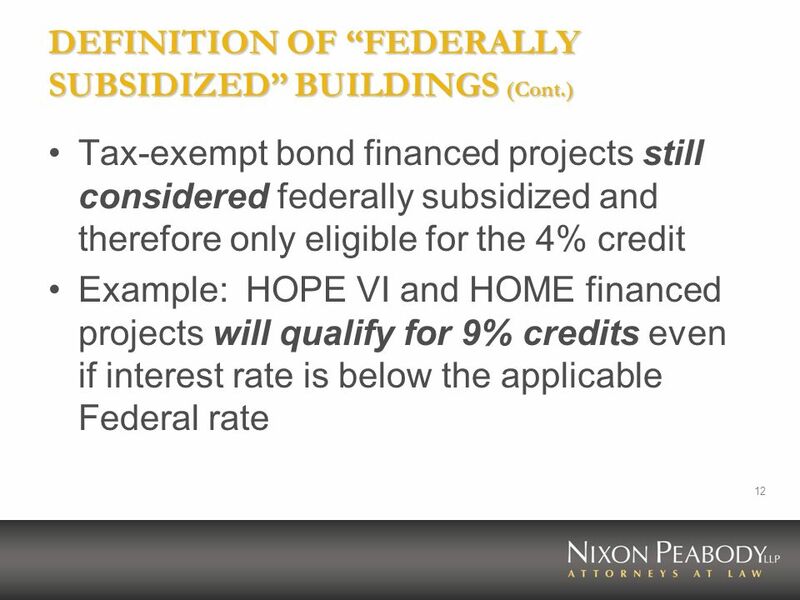 IPED AFTER THE CLOSING: Maximizing Value and Avoiding Pitfalls at Tax Credit Properties Pre-Conference Workshop: Tax Credit Basics San Diego, California. 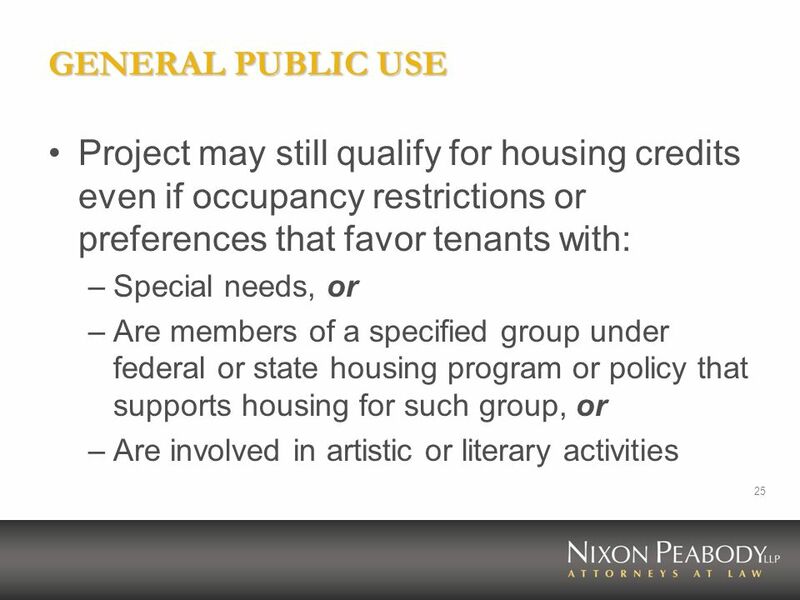 Condo Conversions Under PLR The PLR Was Published On January 19, 2007 Each tenant, granted a right of first refusal, can buy that unit, along. 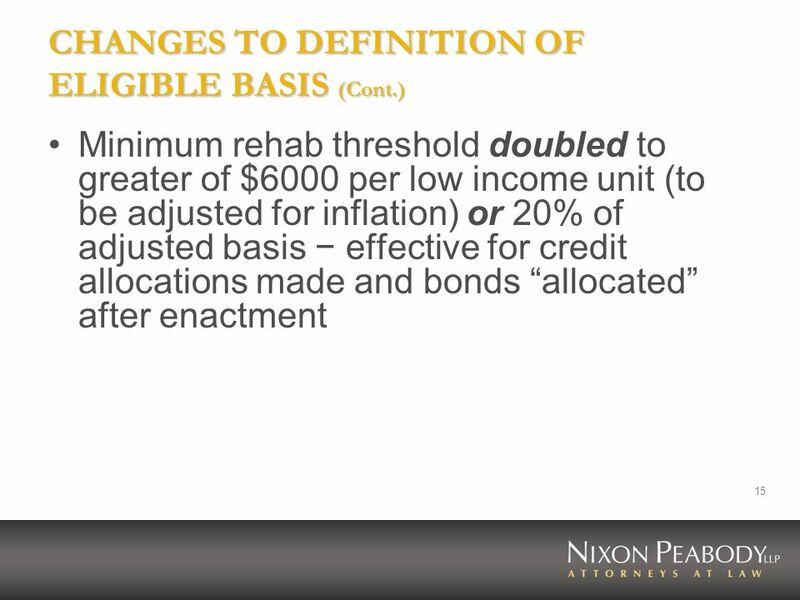 TAX BENEFITS FOR THE GO ZONE Richard S. Goldstein IPED March 29, 2007 St. Petersburg, Florida. 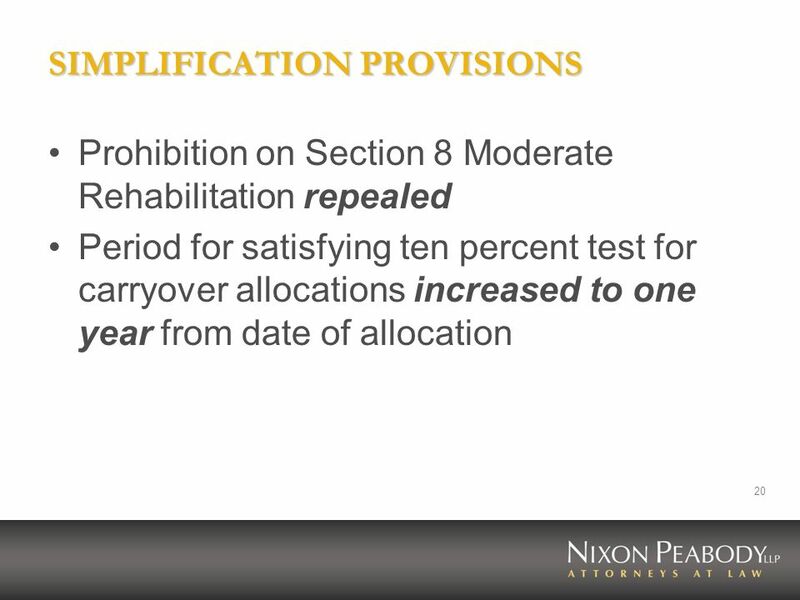 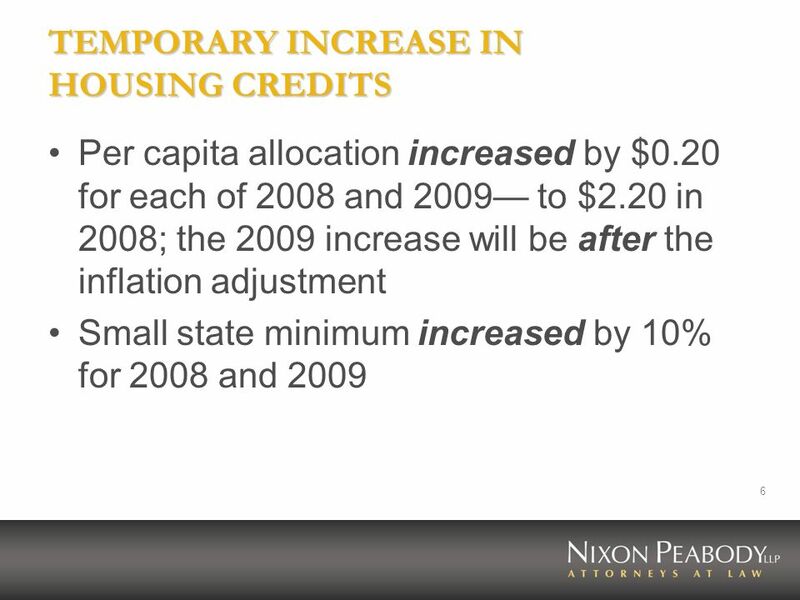 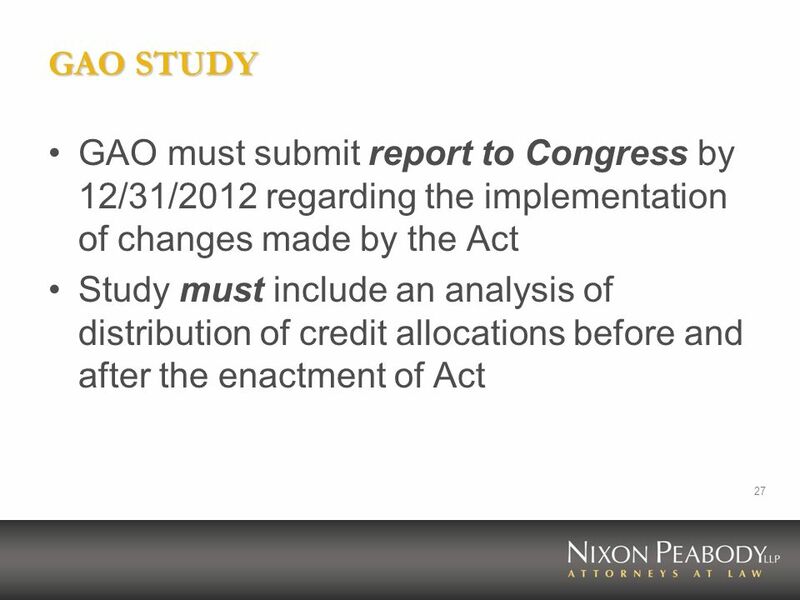 HOUSING TAX CREDIT MODERNIZATION PROPOSALS Richard S. Goldstein Nixon Peabody LLP October 19, 2007. 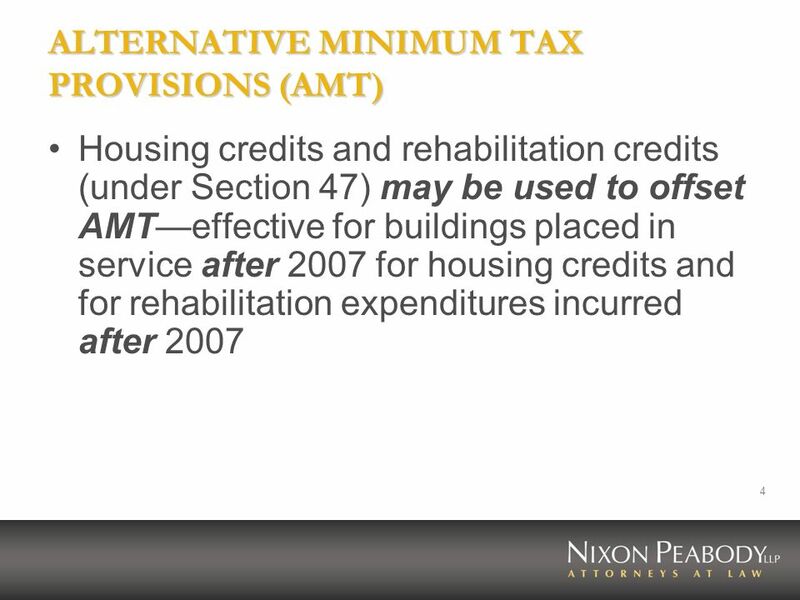 1 Learning the Basics, Housing Tax Credits 101 Blackstone Hotel March 5-6, 2009 Susan Pristo Reaman. 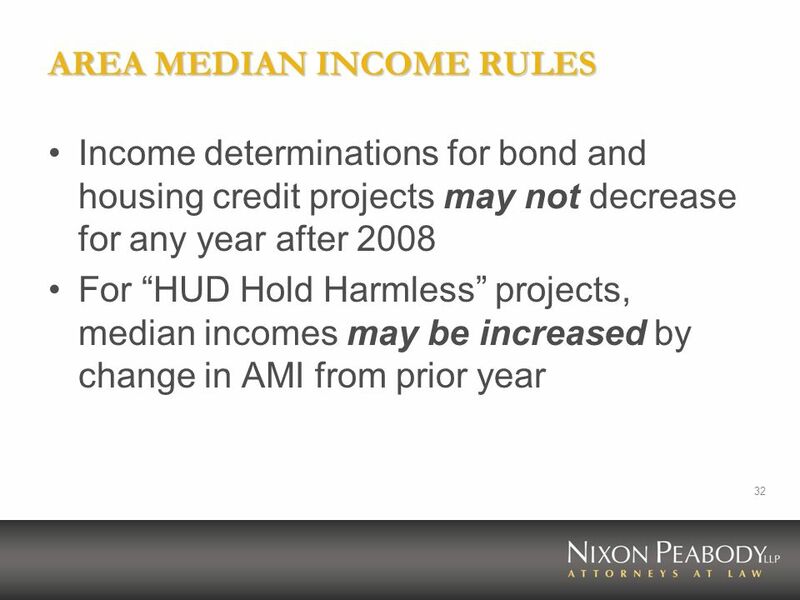 IPED HOUSING TAX CREDITS 101 Arlington, Virginia October 18-19, 2007 Molly R. Bryson Thomas A. Giblin. 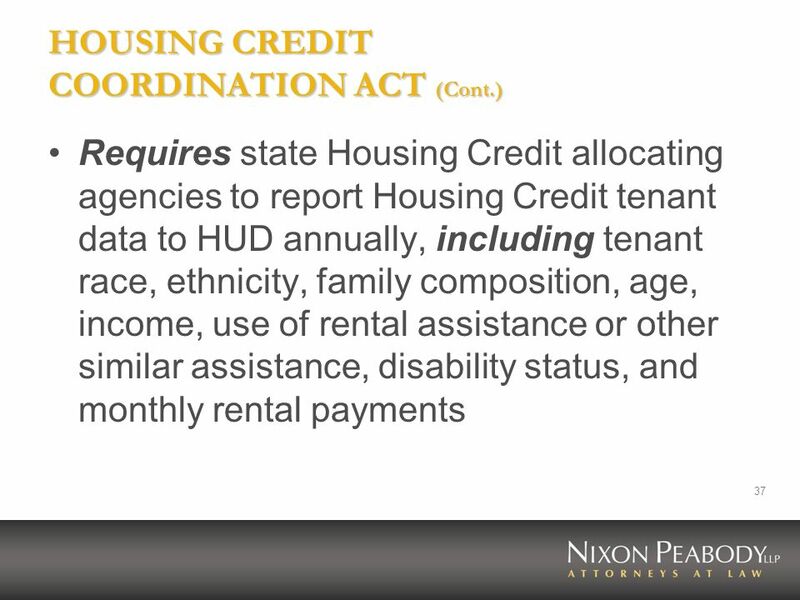 IPED HOUSING TAX CREDITS 101 San Francisco, California July 24-25, 2008 Molly R. Bryson Thomas A. Giblin. 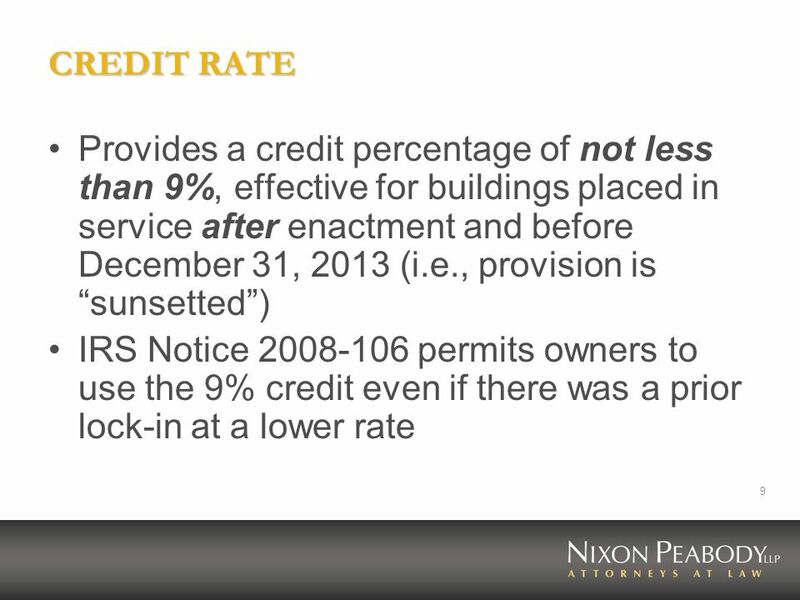 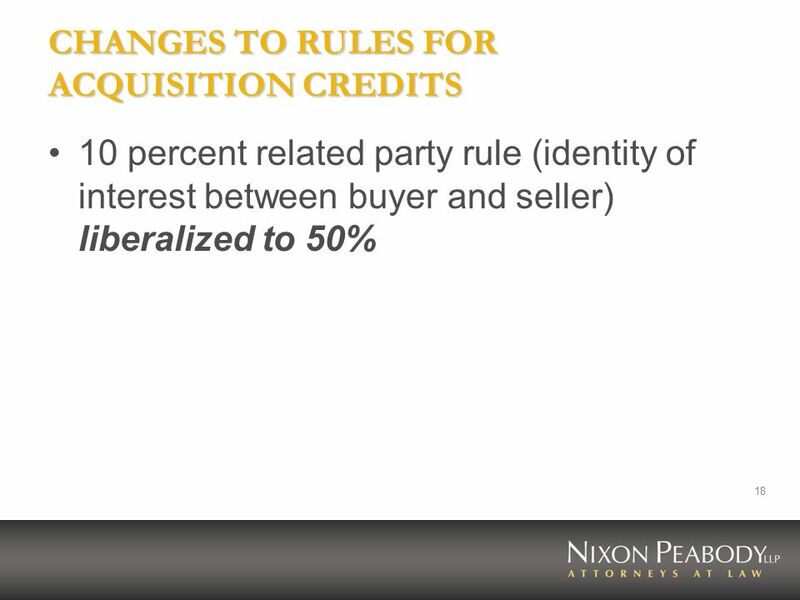 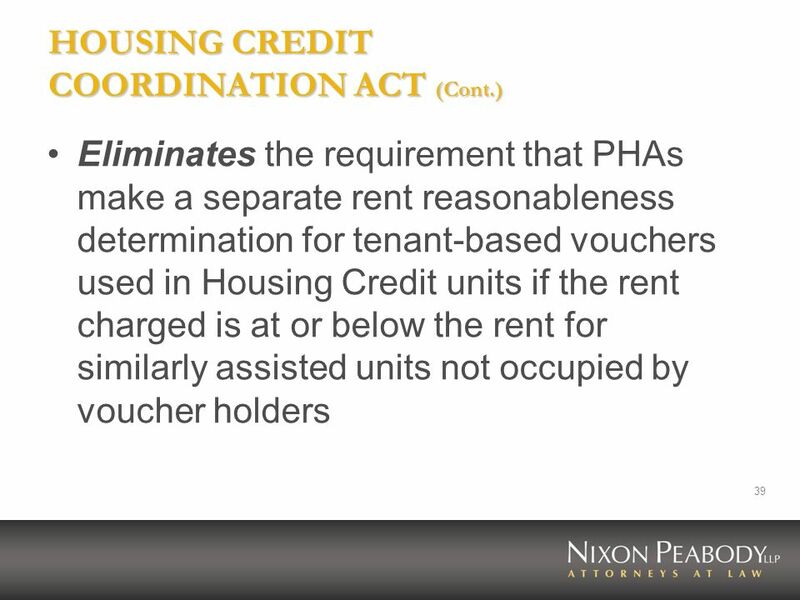 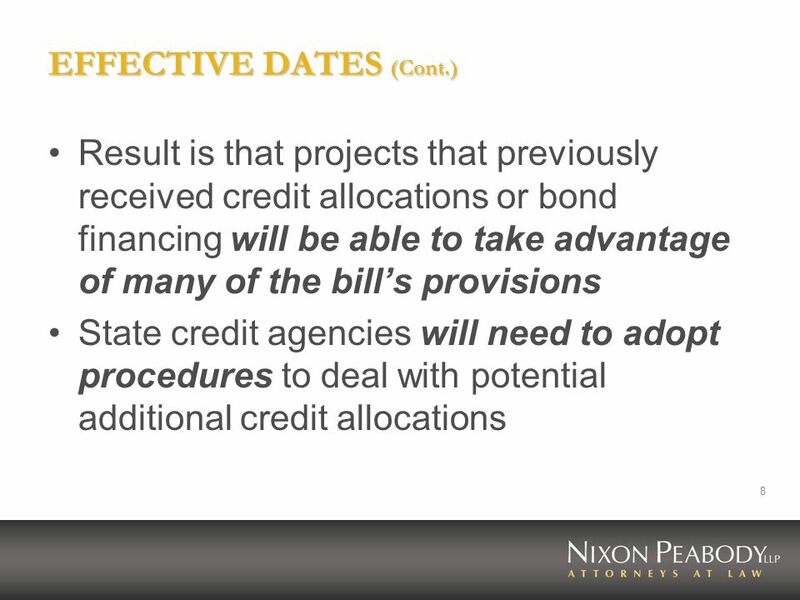 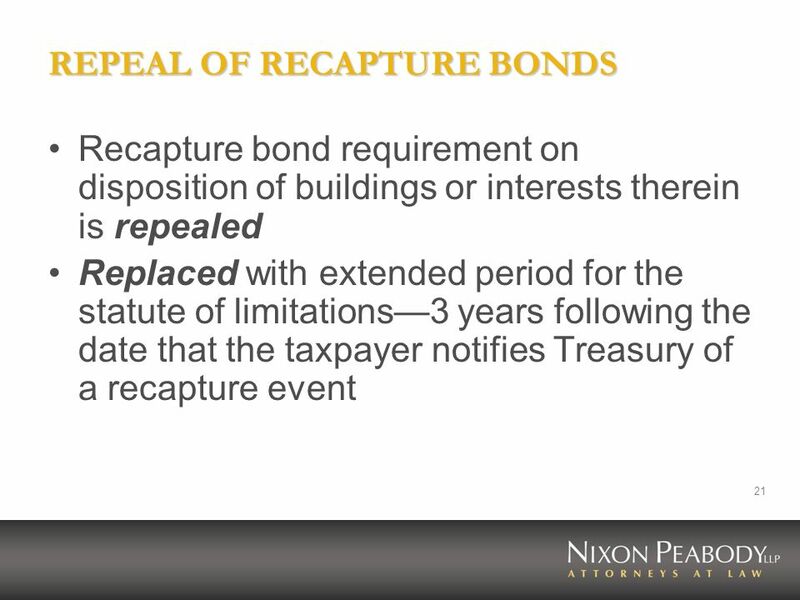 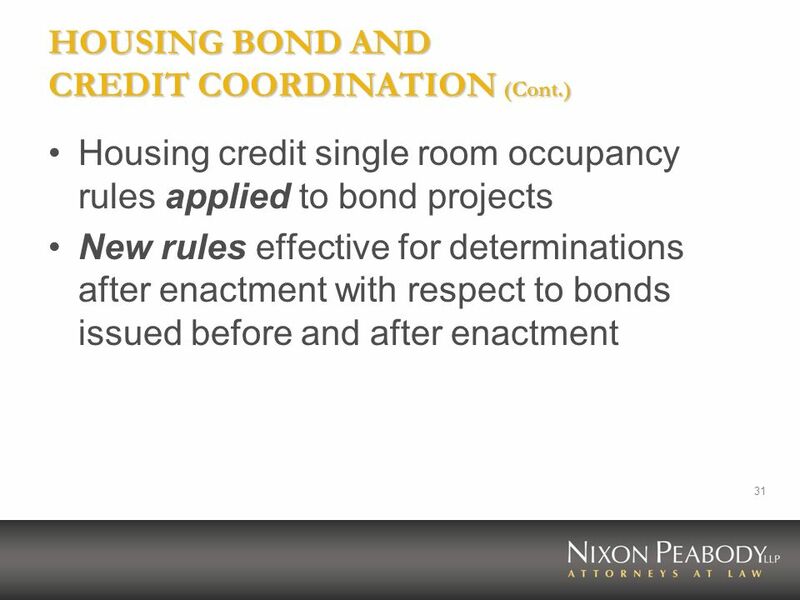 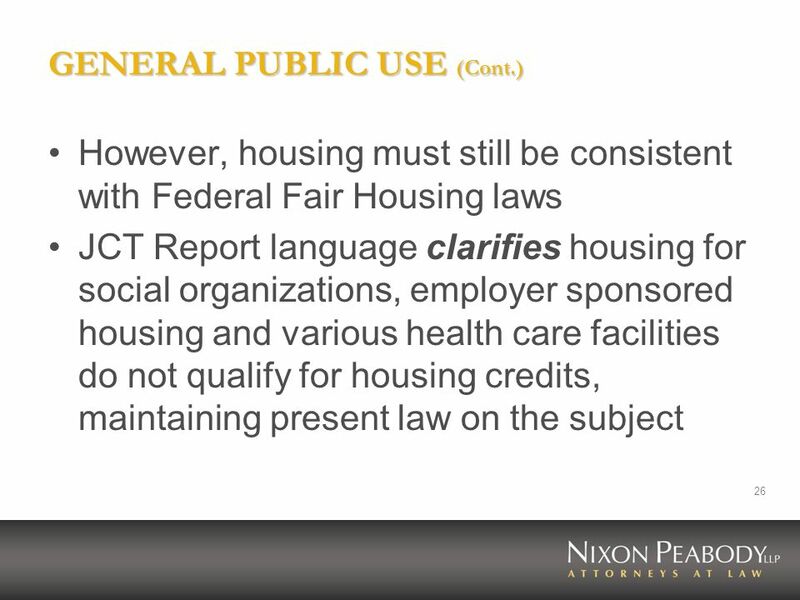 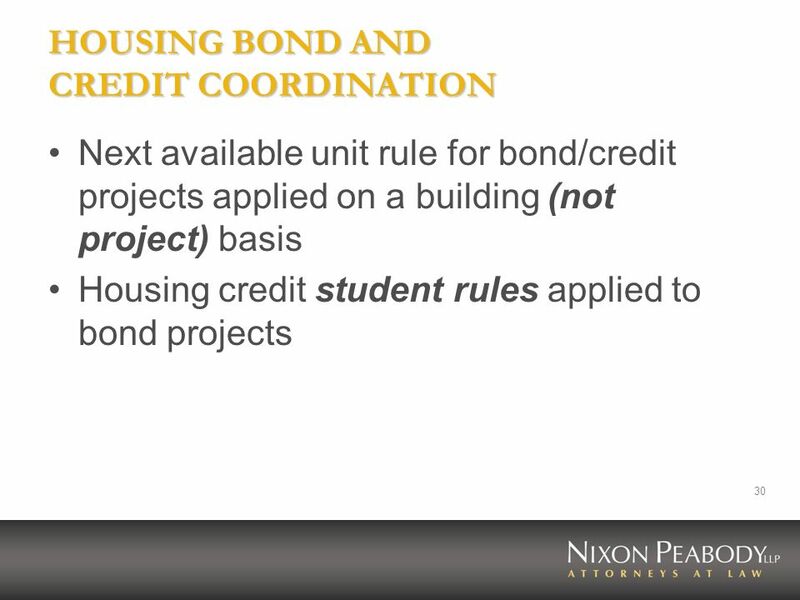 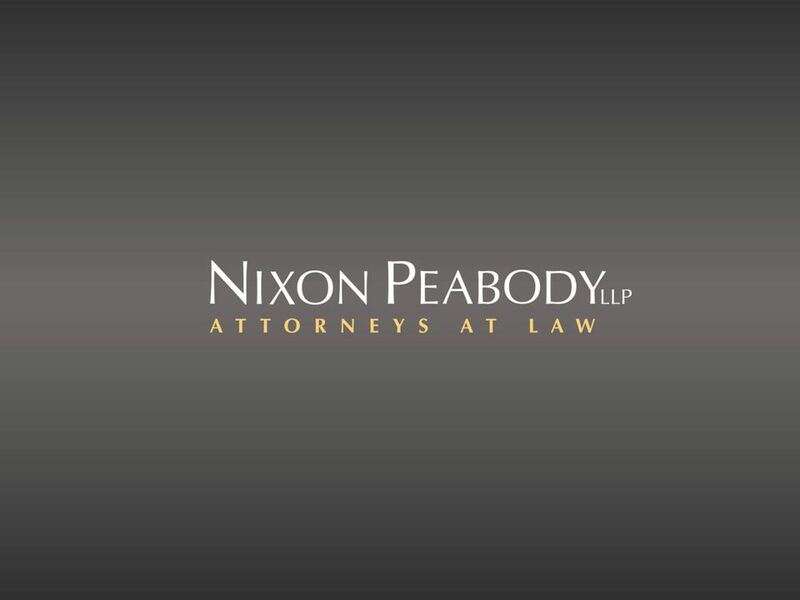 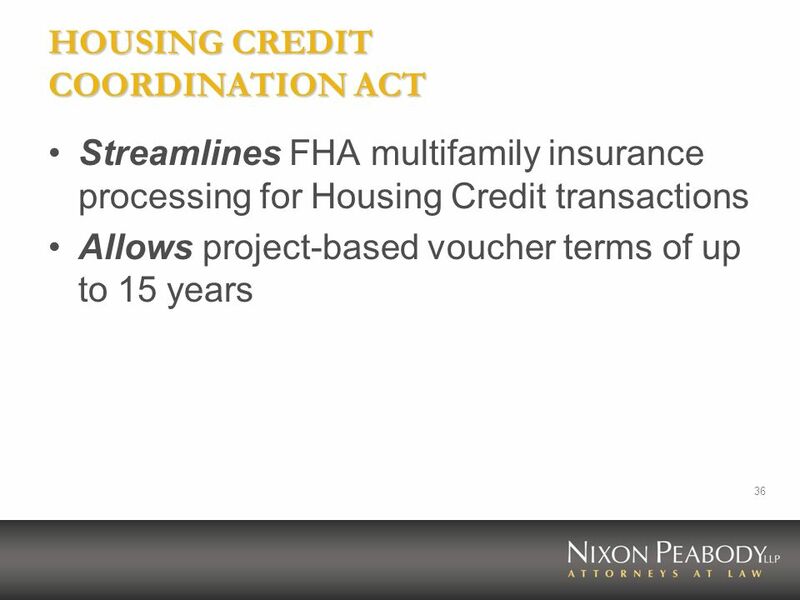 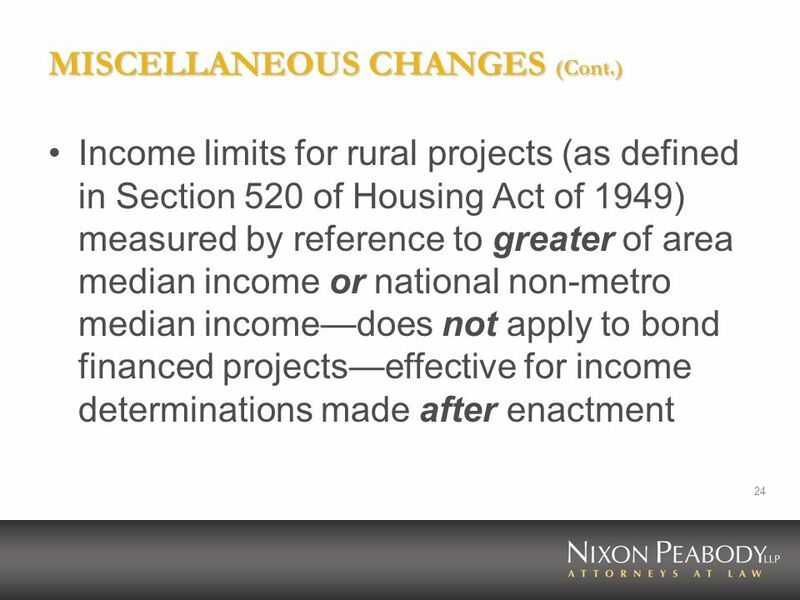 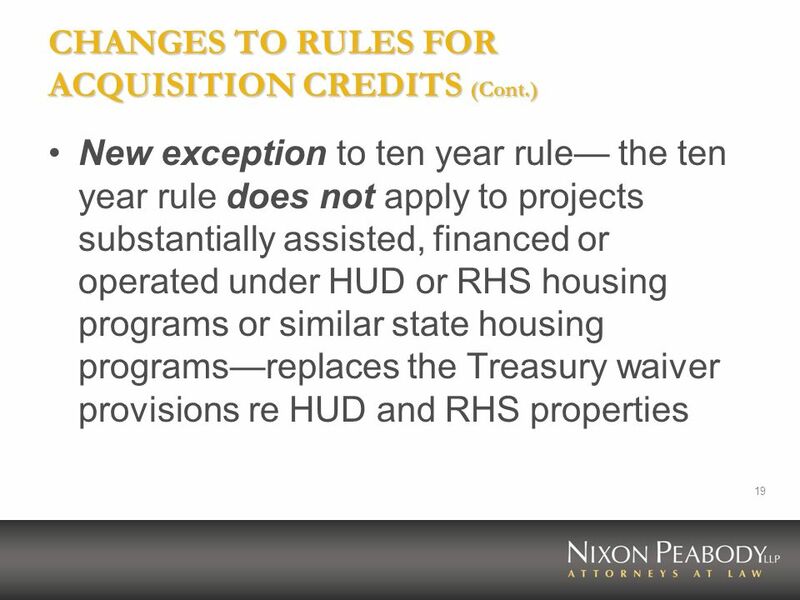 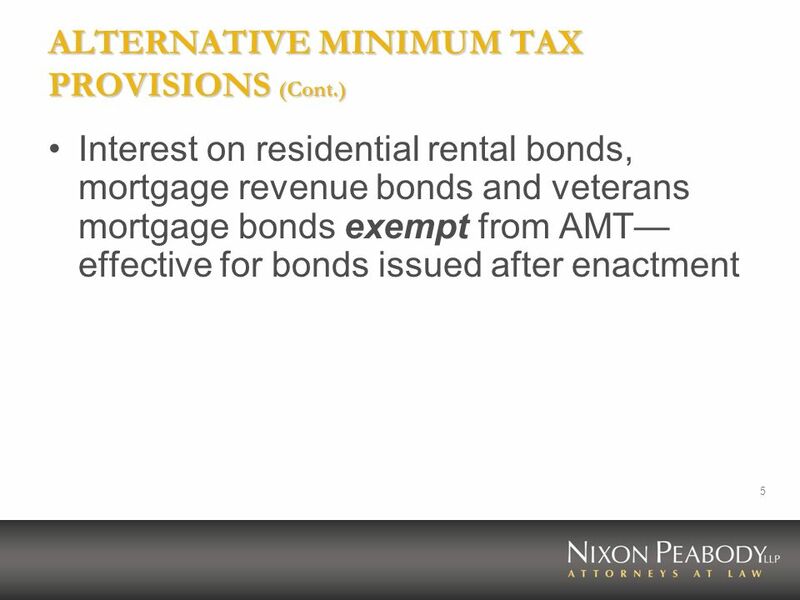 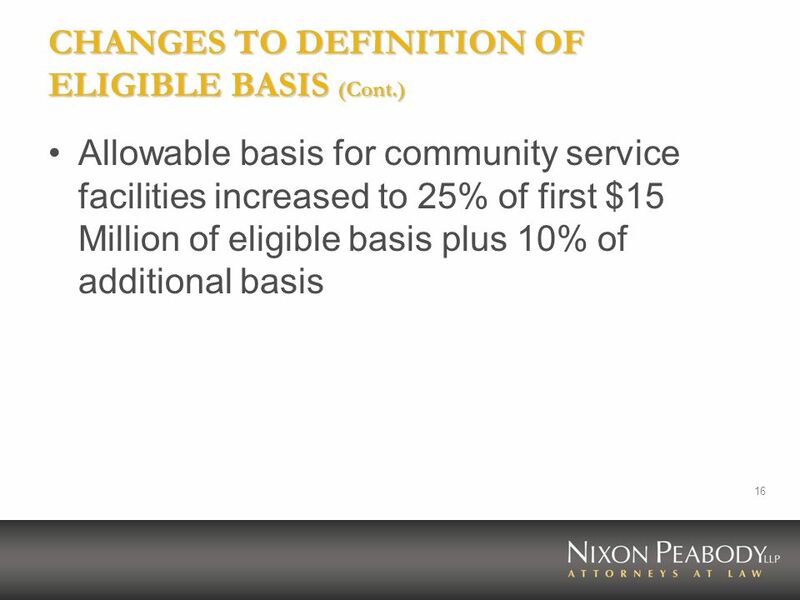 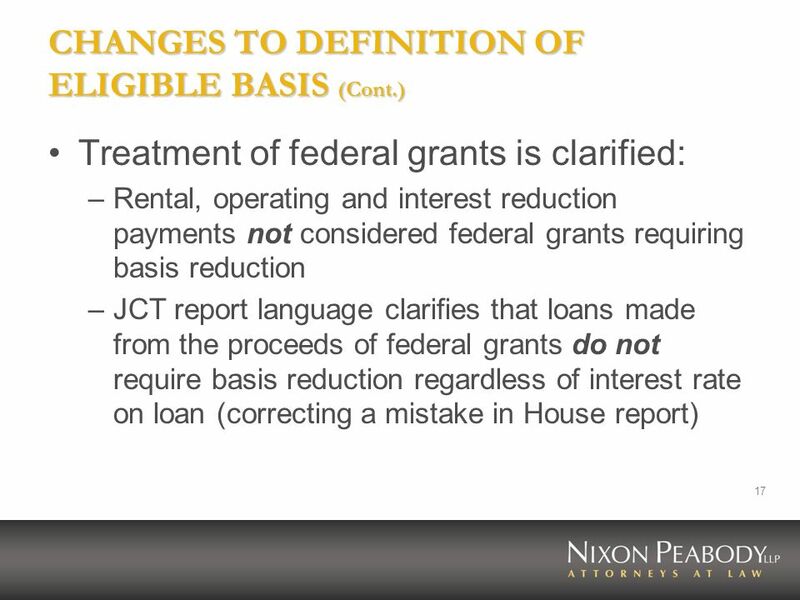 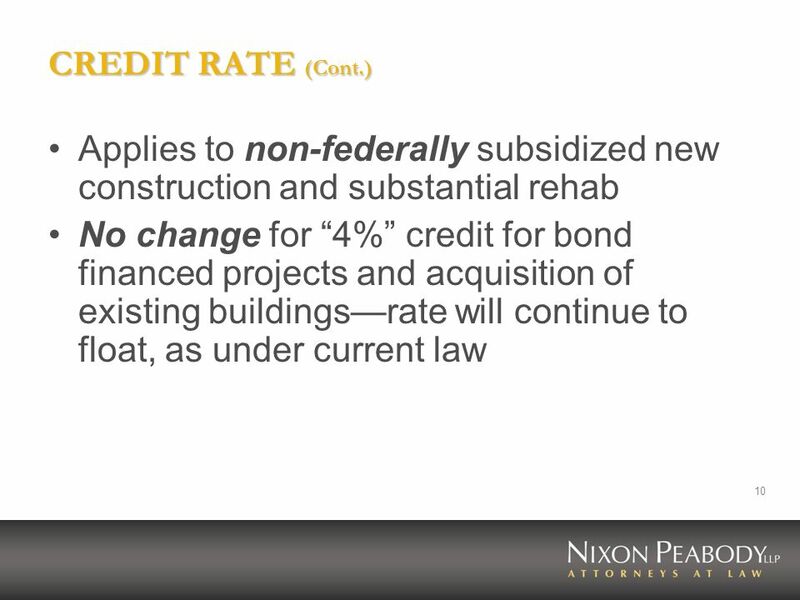 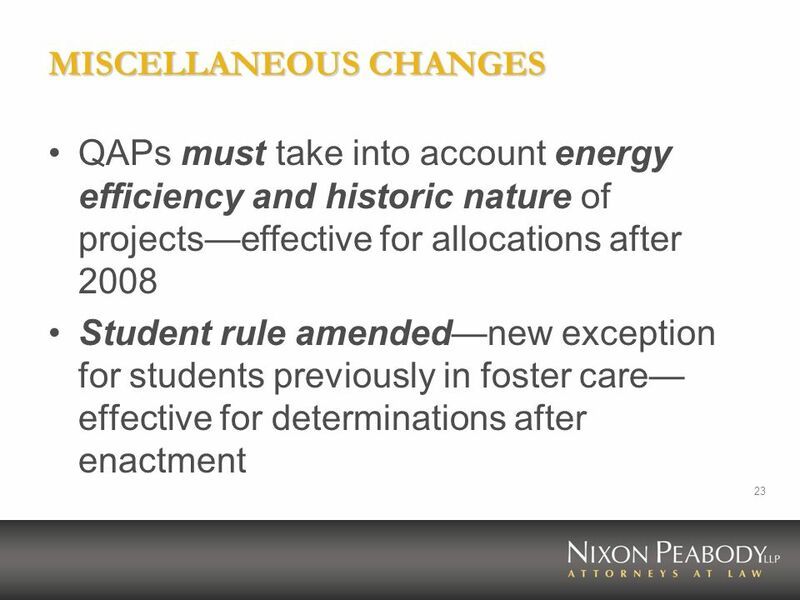 Laying the Foundation The Basic Rules Governing Todays Housing Tax Credit Projects. 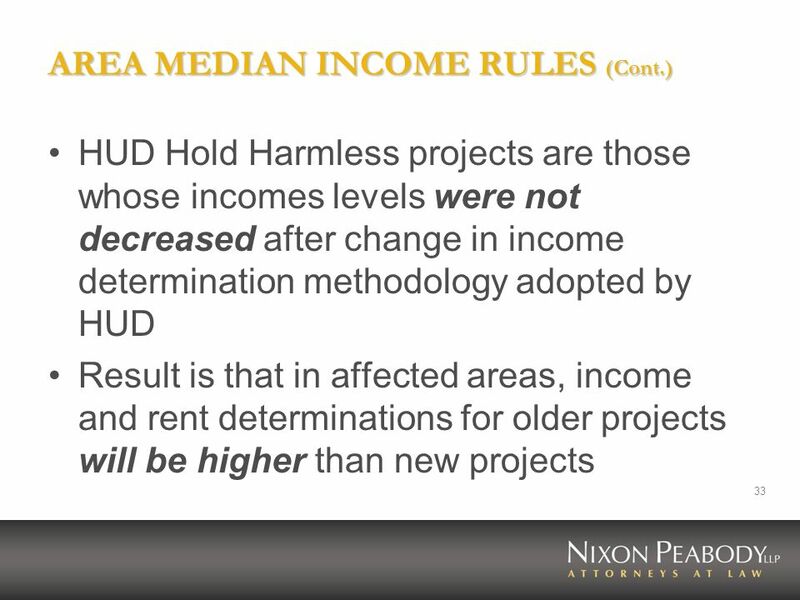 Condo Conversions Under PLR 200703024. 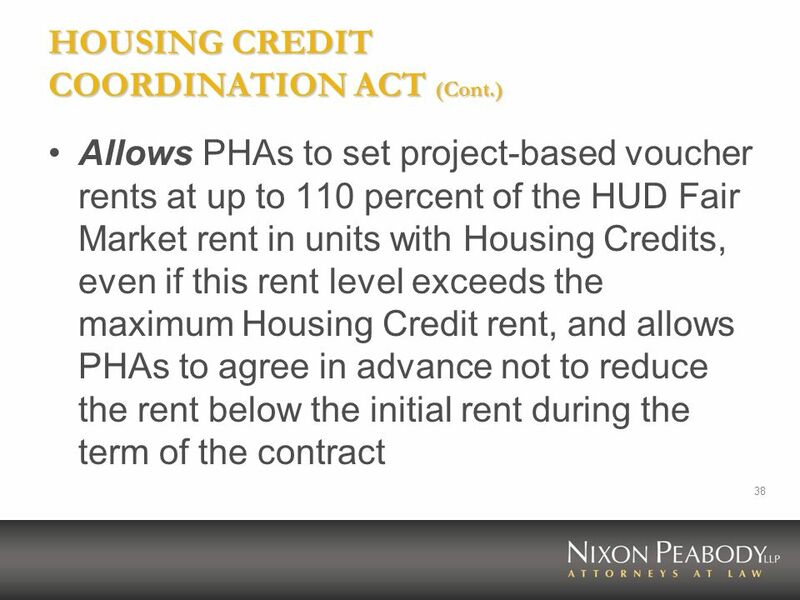 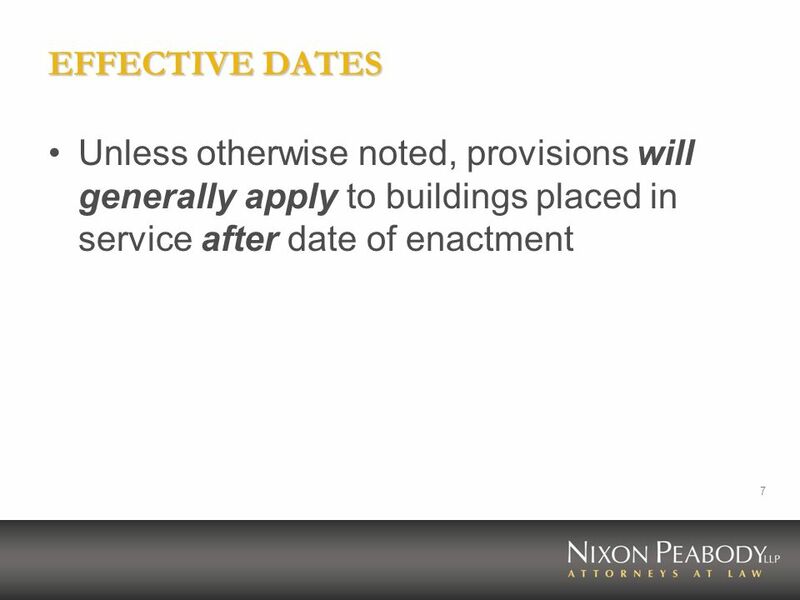 2 The PLR Was Published On January 19, 2007 Each tenant, granted a right of first refusal, can buy that unit, along.